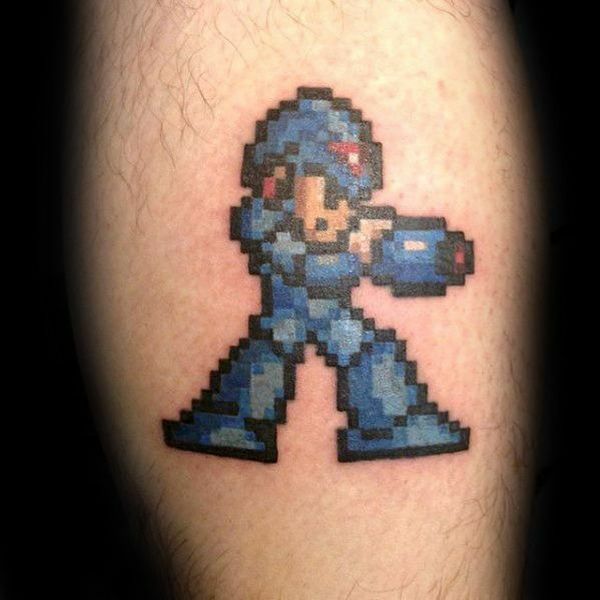 Mega Man might be more than 30 years old, but this original arcade character and video game series has tons of legs and remains one of the most popular characters still today. 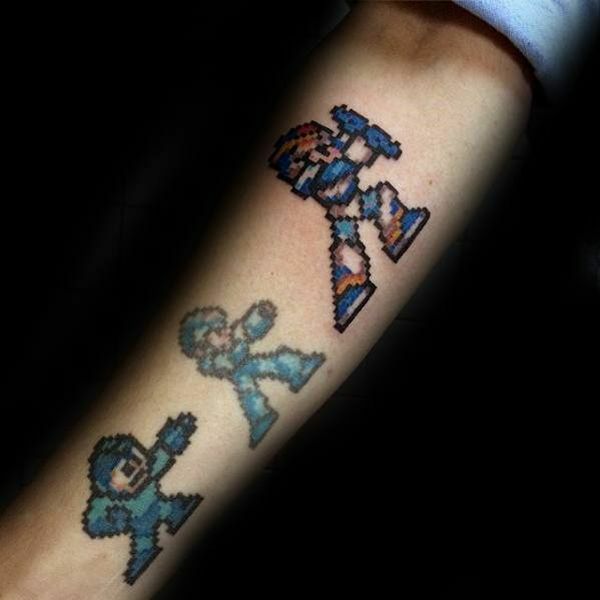 Capcom knocked it out of the park when they introduced the world to Mega Man back in 1987, creating a blue sci-fi robot boy with a canon for an arm and letting him dominate the side scrolling world of arcades. 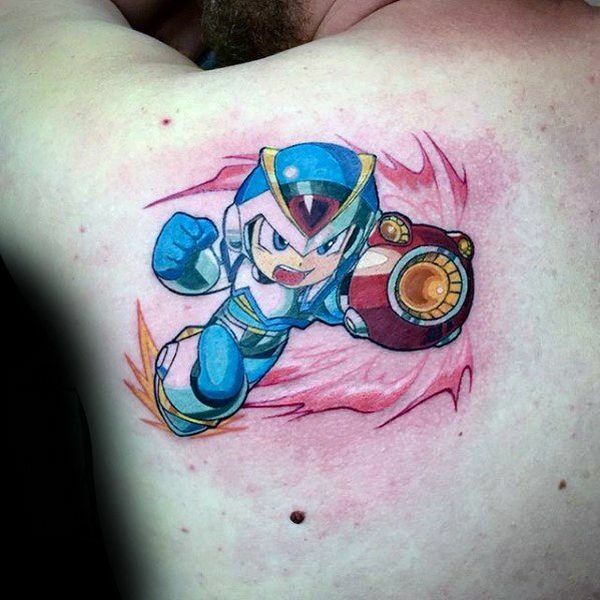 It wasn’t long until Capcom moved him over into the console world, and to date there have been more than 50 – 50! 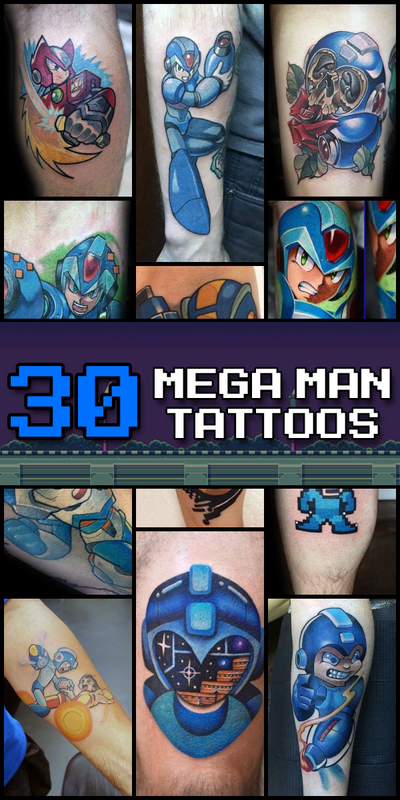 – games that celebrate this iconic hero. 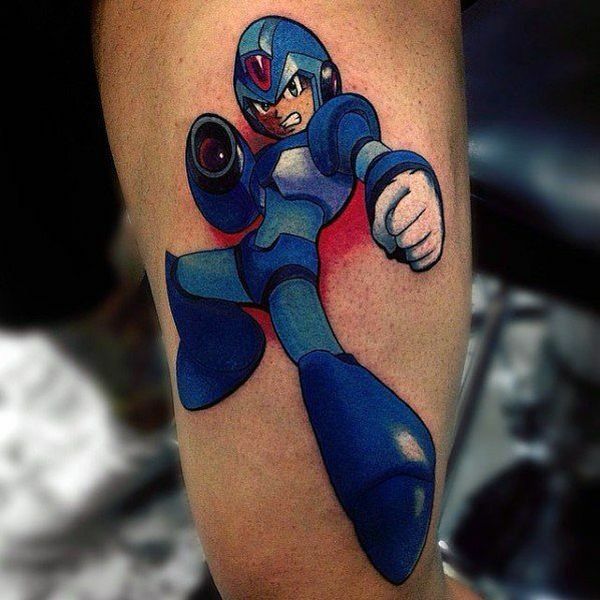 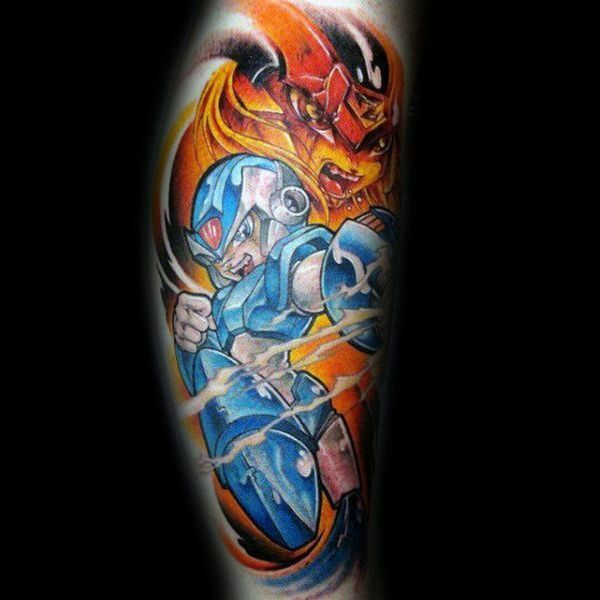 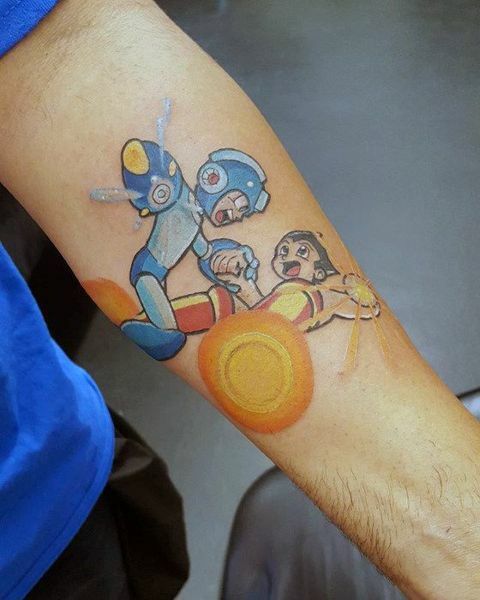 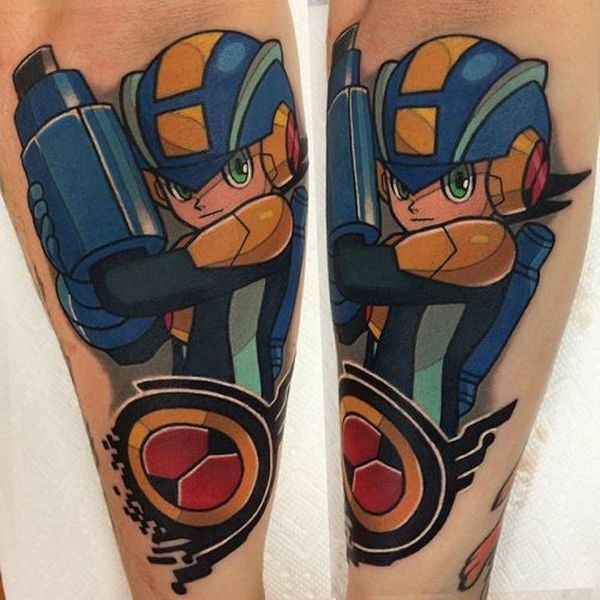 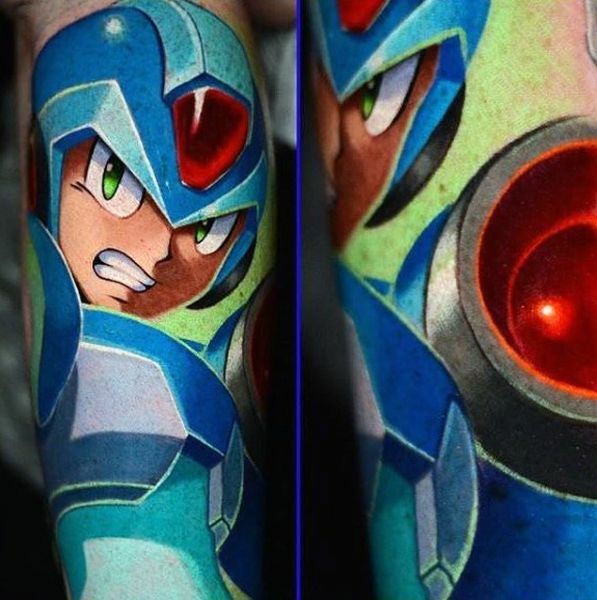 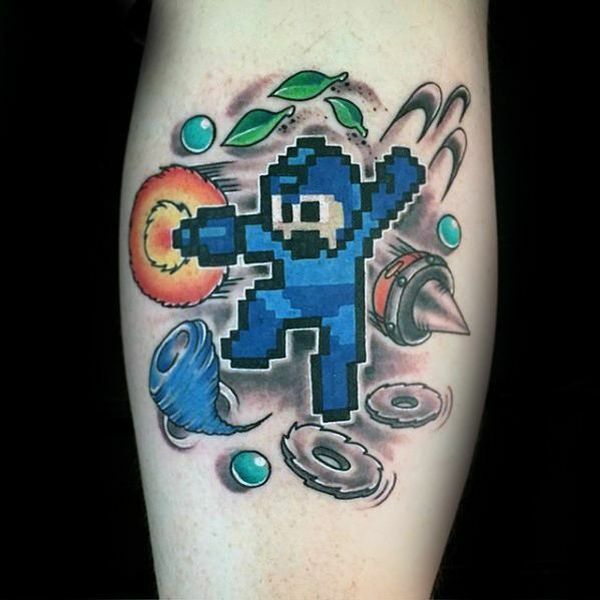 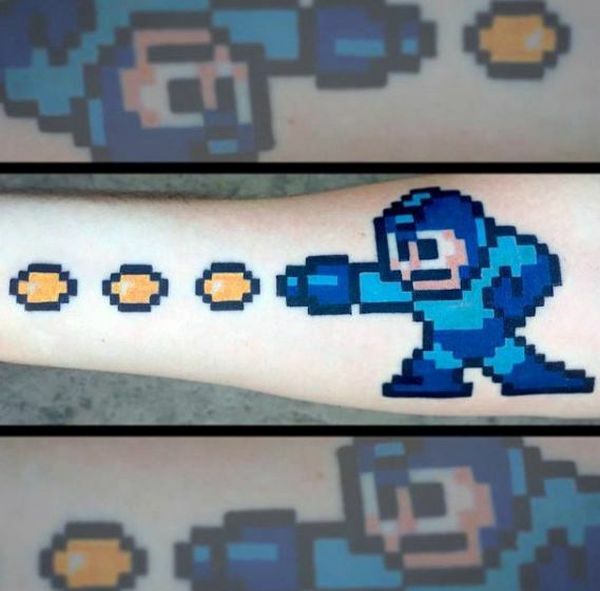 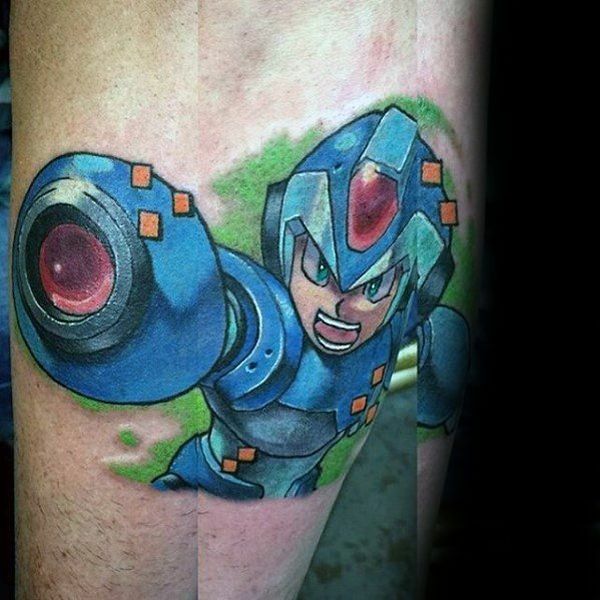 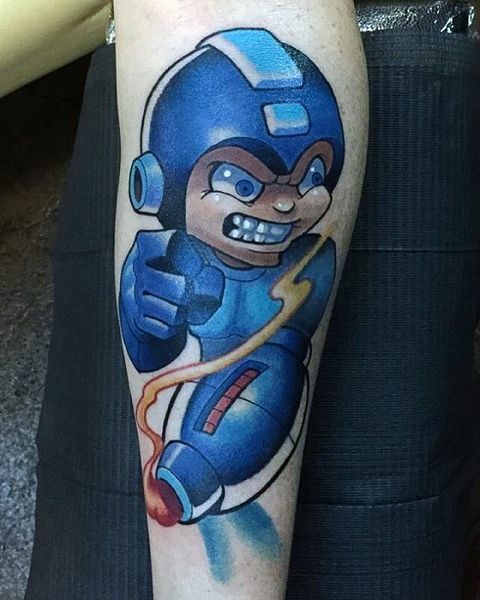 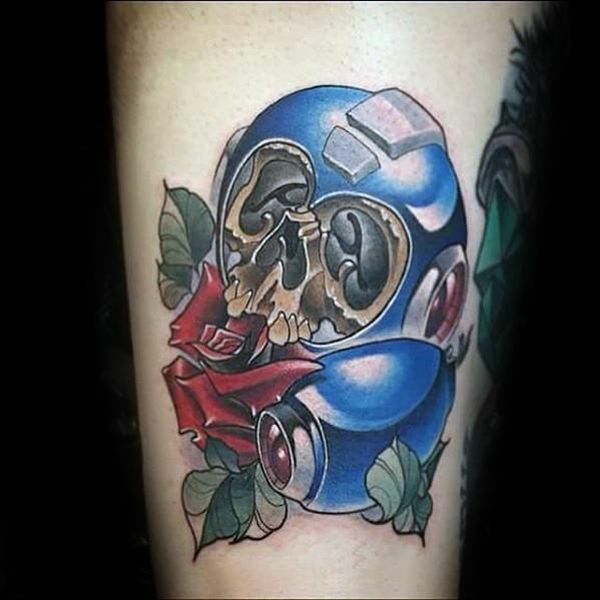 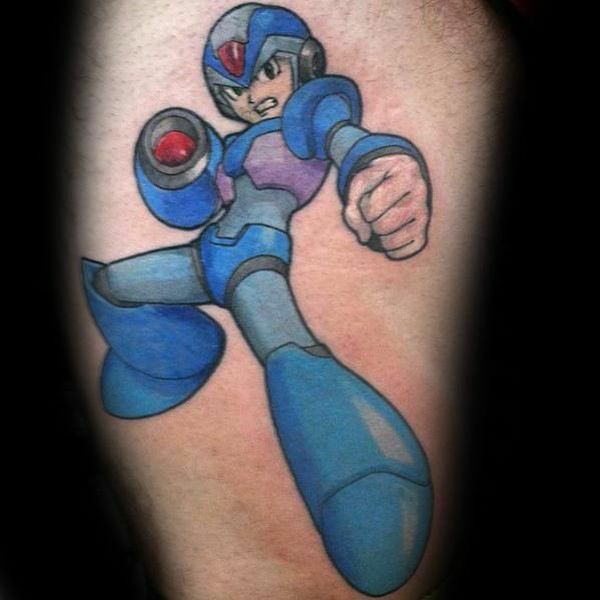 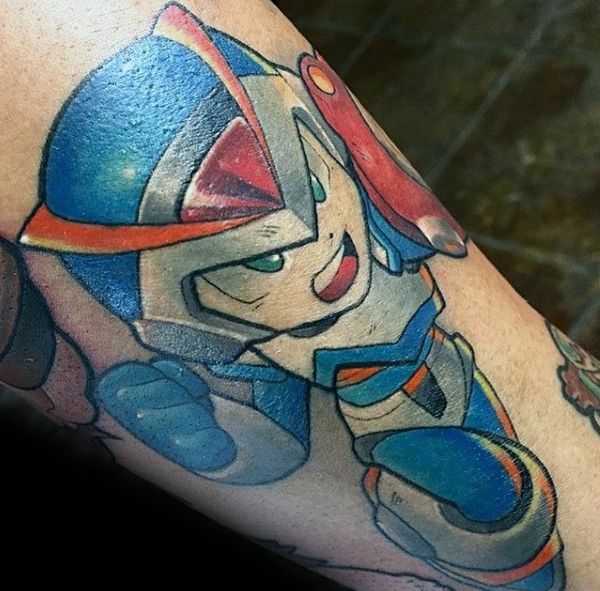 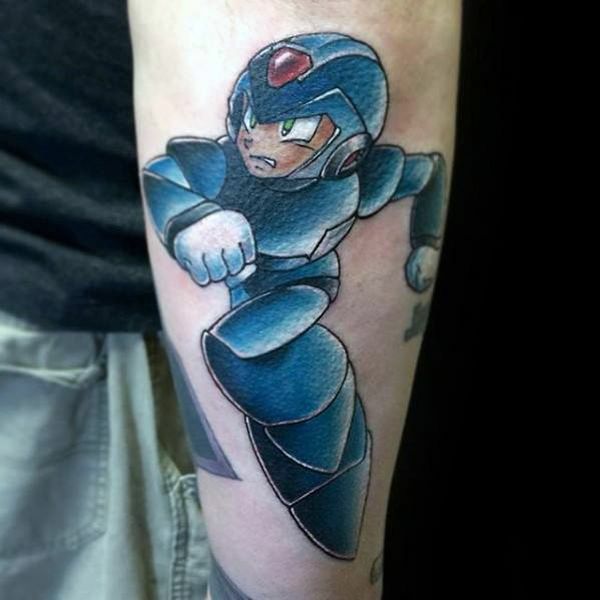 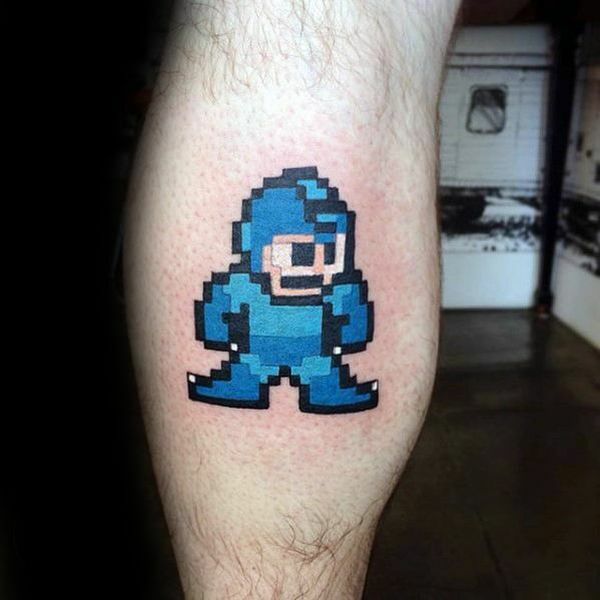 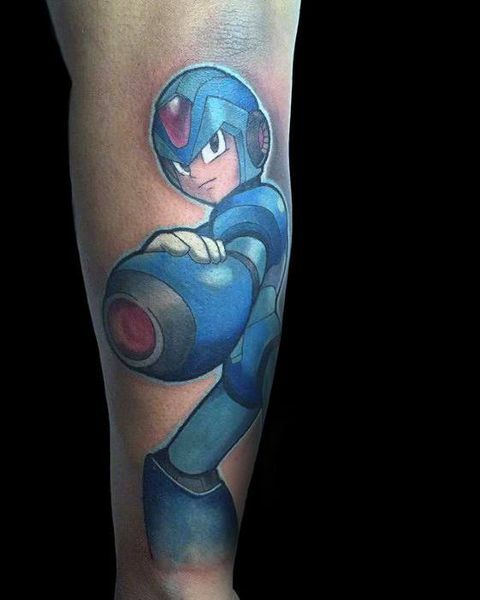 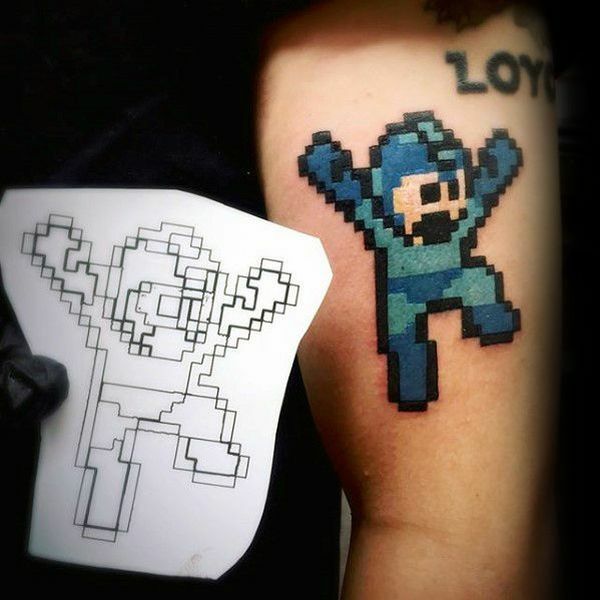 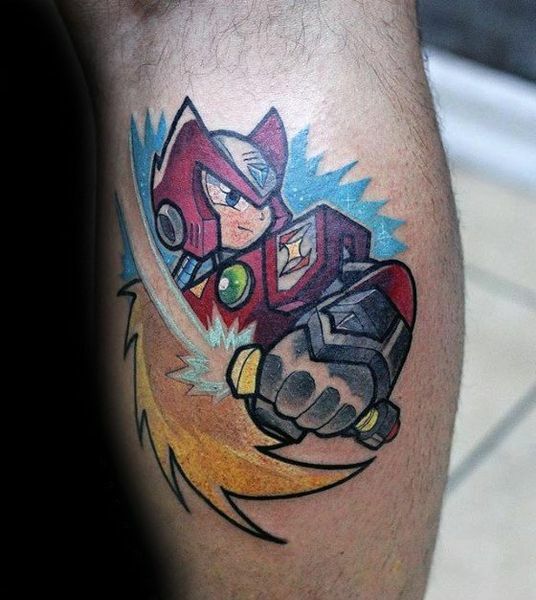 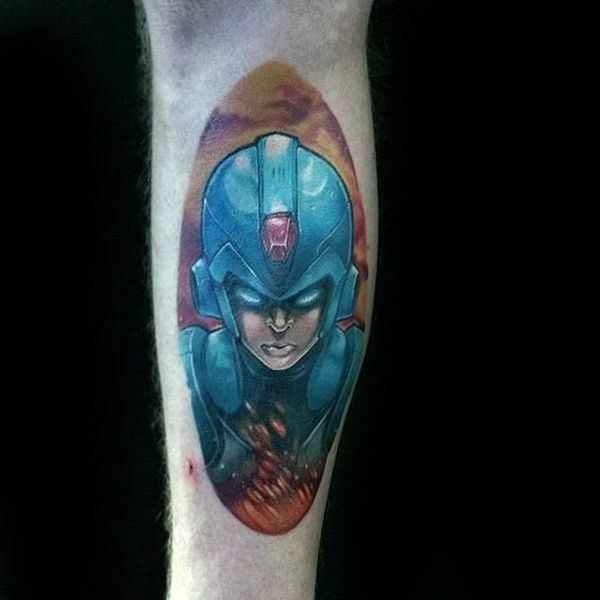 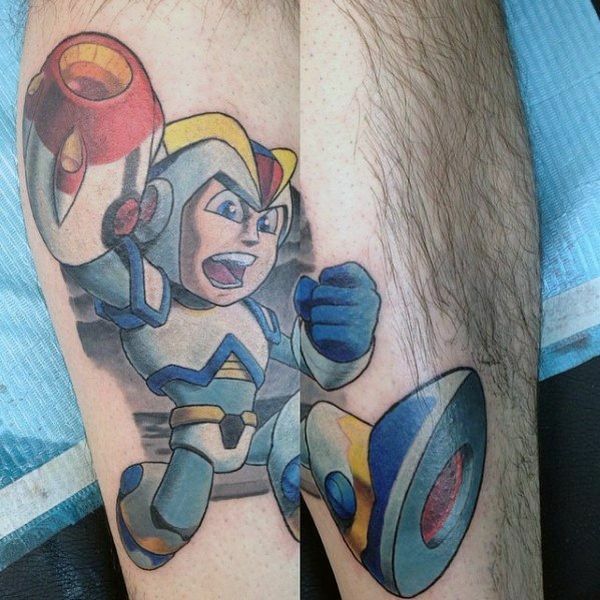 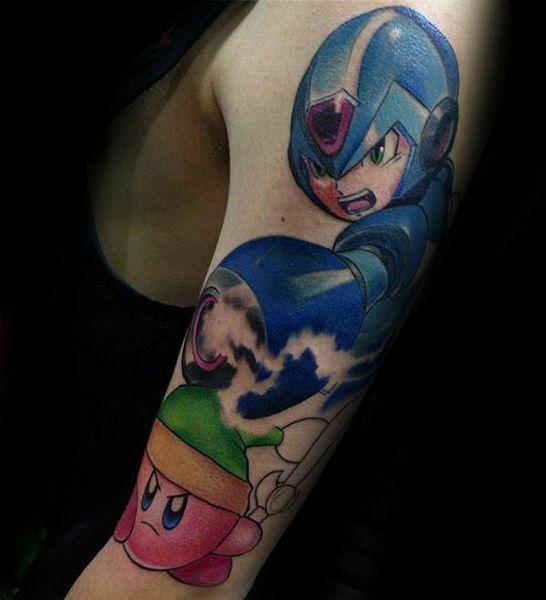 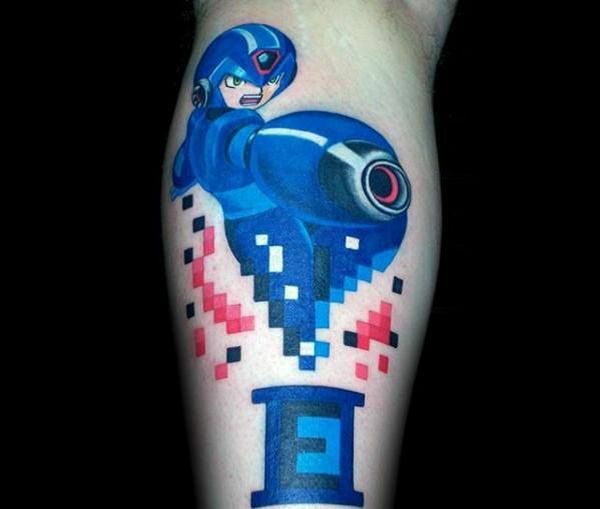 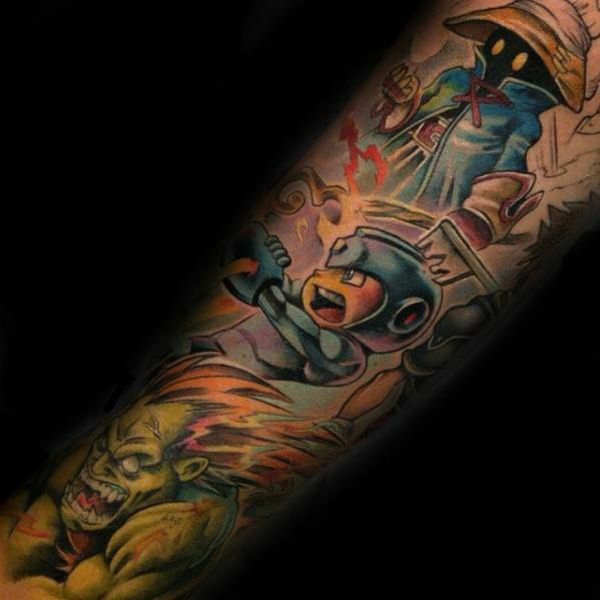 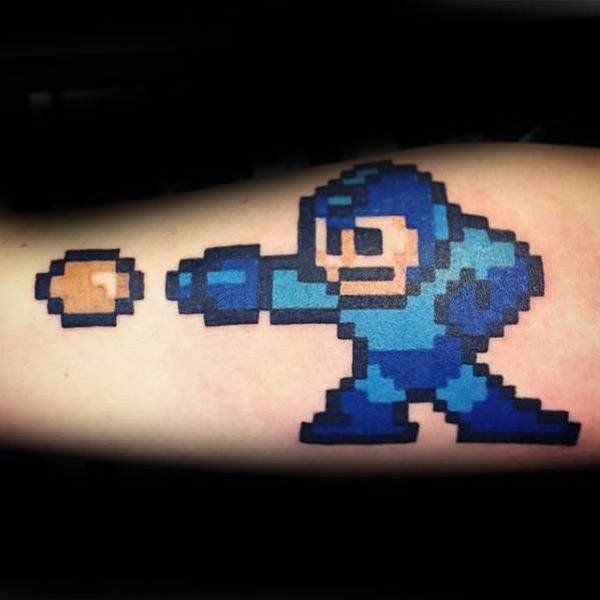 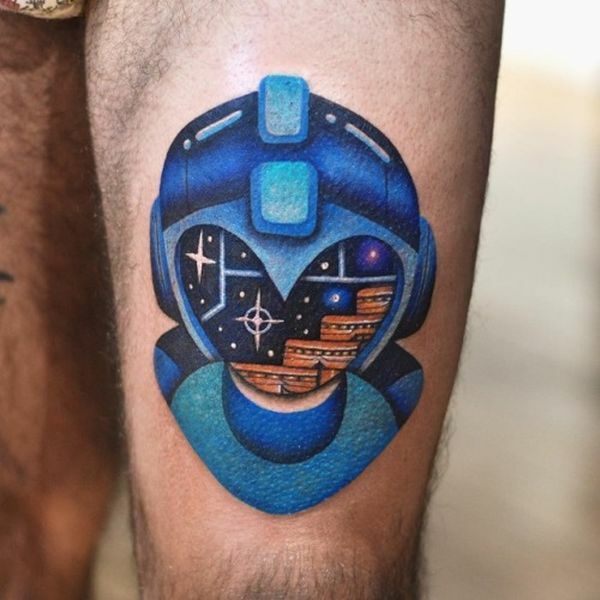 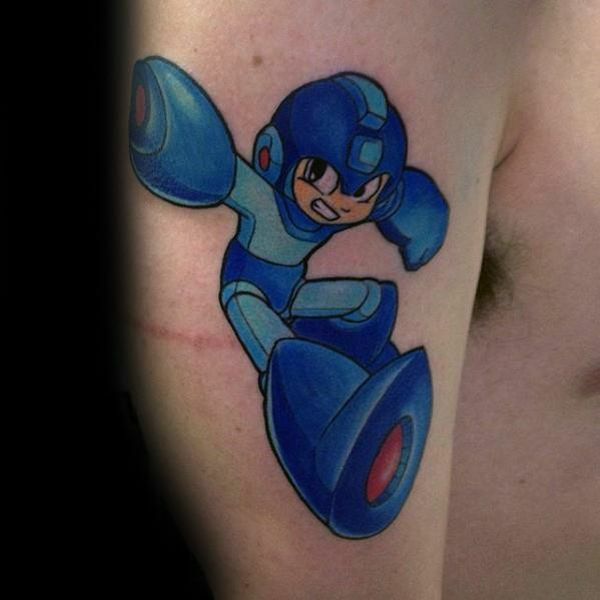 Mega Man, his armor, his canon, and especially the 8-bit art version of the character are just some of the most popular Mega Man tattoos out there. 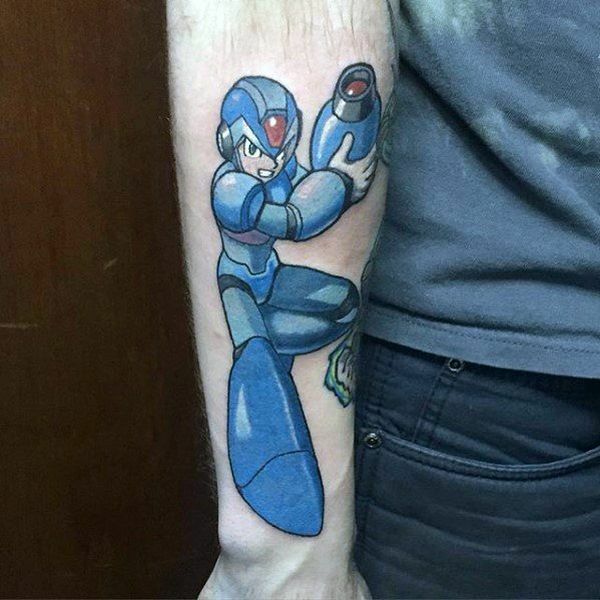 Dr. Light and Dr. Wily, Proto Man, Bass, Roll, Rush, and Auto are some of the other characters people have decided to tattoo on their bodies, showing just how much this series resonates with people. 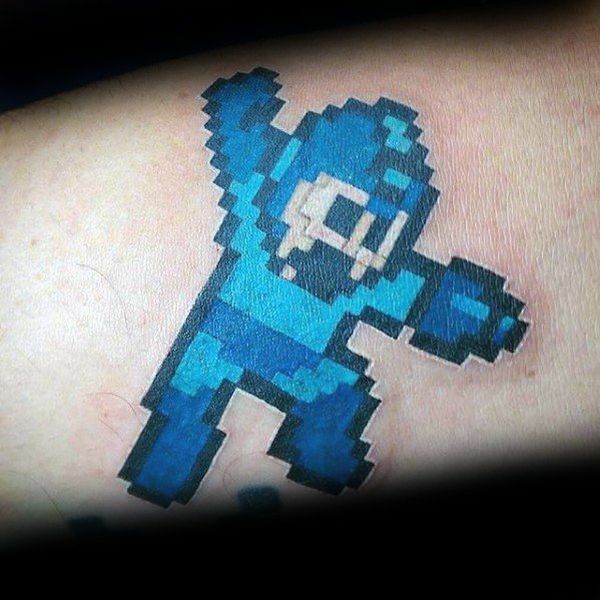 Of course, you could also tattoo the Mega Man canon on your forearm and go that direction, giving more than a wink and a nod to fellow fans and letting them know just how serious you take the little guy in the blue suit of armor.